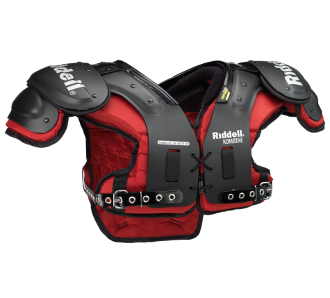 Any bigtime playmaker looking to get the biggest bang for their buck should check out the Riddell Kombine Adult Football Shoulder Pads – QB/WR/DB! Recommended for quarterbacks, wide receivers and defensive backs, the Kombine line utilizes a combination of technological advancements that optimizes mobility without sacrificing the protection and durability Riddell is famous for! Complete with top notch comfort and range of motion these pads have it all for a great price!